In this modern day and age, air conditioning systems are essential to almost all business environments. In fact, some businesses’ bottom-line could be significantly affected is the HVAC system malfunctions at any time. However, repairs to air conditioning systems are inevitable. Even the most dependable systems might incur some damage. When that happens, we are here to lend you a firm helping hand. When a business’s air conditioning system malfunctions, you will certainly appreciate a speedy and efficient repair. For this reason, you will need experienced technicians who can tend to your problem immediately and leave it functioning optimally. You need reliable experts who can give you the very best service at an affordable price. You need people who have you and your business’s best interests in mind. This and more, is exactly what our teams can provide. Punctuality is one of our best virtues. We will respond to your calls as speedily as possible to reduce the possible losses your business might incur in downtime to a minimum. Our teams are excellently qualified experts who constantly improve their skills through training. They will assuredly provide you with outstanding service and you can be certain that our repair services will be provided correctly at the first time. We understand and respect you and business and will give the very best we have to offer. Using knowledge gained from extensive experience with a variety of customers, we will troubleshoot your system to identify the root cause of malfunction and to fix it optimally. You can be sure that the service we will offer will allow you to enjoy greater reliability from your system with minimal needs for future repairs. Our technicians will provide a comprehensive assessment of your entire system and not only the damaged part. This will enable us to see beyond the immediate failure so we can identify problems before they become critical to the system. We will alert you of any underlying weaknesses to protect you from incurring additional costs later if the weaknesses compound. In this way, we will provide you with a long term solution reducing future needs for repair and unnecessary down-time. 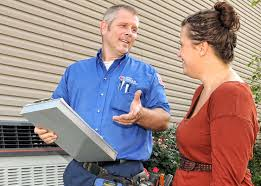 As a HVAC repair service provider, we provide service for all brands and types of HVAC units. Because or teams have taken the time to equip themselves with an ample amount of knowledge, they are familiar with almost all brands of HVAC systems including Honeywell and Siemens. Furthermore, we can also provide maintenance services to restore your entire system to optimal function before it incurs substantial damage. Should there be any worn out parts of your air conditioning facility, we will not only alert you, but also give you advice on where to find the best replacements. Choosing our company for your repair needs will be a choice you will not regret. We will value you and respect you as our customer. We will adhere sternly to our promise of quality service.